January at Arches. Blessedly low visitation in a now world famous park that in 2014 climbed to 1.2 million visitors. The late Edward Abbey, author of Desert Solitaire, his memoir of several seasons spent working in the park, would be aghast. Or maybe he saw it coming. At any rate, I’m glad the National Park Service continues to do all it can to protect this incredible place. It’s not easy. It had been several years since I’d been here, so it was good to be back. Good to reacquaint myself with where things were. In this photo I’d done the easy hike on the sandy trail through the high desert blackbrush to Broken Arch. One of those hikes that I’d said last time that I would do next time. And now it was next time. There is so much more of this park that I need to see, so I’m making progress. The name Broken Arch makes it sound like it has already fallen. It hasn’t. At least not as of the other day. It got its name from the cracks in the middle of the span. 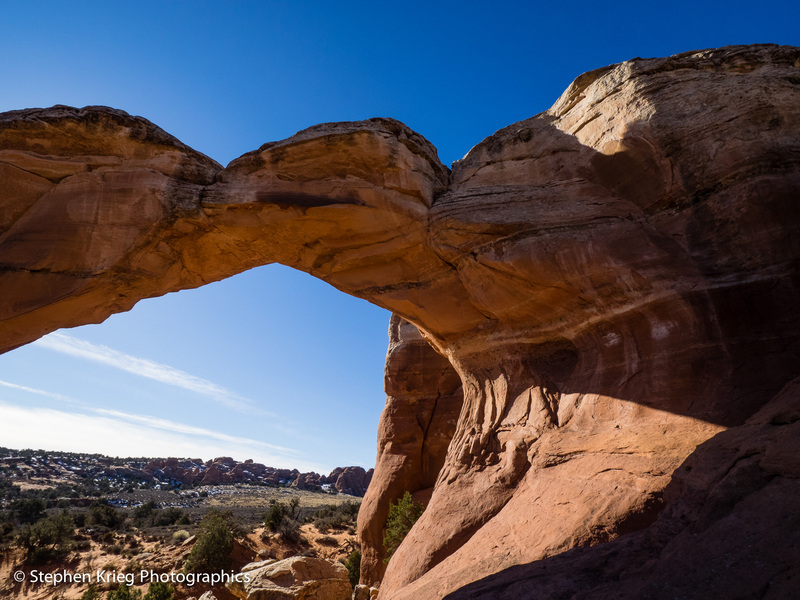 As arches and natural bridges go, that may merely mean the two halves are leaning against each other, and will for a long time. No one can say. Just enjoy it now. 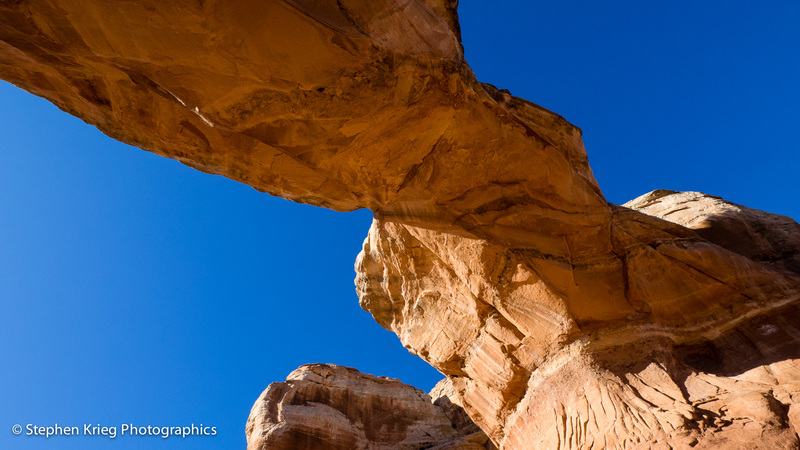 Photo location: Broken Arch, Arches National Park, southeast Utah.